One crew member died and two were hospitalised after they inhaled poisonous fumes while cleaning cargo tanks on board the 7,704 dwt Palmali-managed 2007-built chemical tanker ‘Araz River’ on 5th February. Italian media reported that the solvent, which the three seafarers were using to clean the tanks on board the Russian-flagged tanker, reacted with the cargo remnants to form toxic fumes. The deceased 24-year crew member died immediately due to a cardiac arrest, while the other two, aged 42 and 28, were transferred to a hospital in a serious condition, the media reported. The ‘Araz River’ subsequently returned to Vasto where it had discharged a canola cargo and the vessel remained in port for an investigation to be conducted. There were 13 Russian crew members on board at the time of the incident, the reports said. 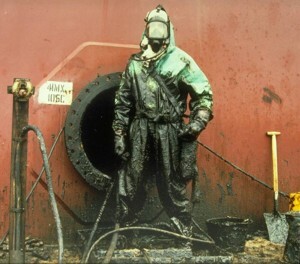 Nice article on tank cleaning fatality. I came across your article and found it very useful. It is solid covering, developed of tough circled heap running in parallel lines. The circle lengths are short so impressions don't appear and compacted traffic examples and wear aren't an issue. One of the most compelling motivations that numerous individuals pick a Berber cover is for its simplicity of consideration.